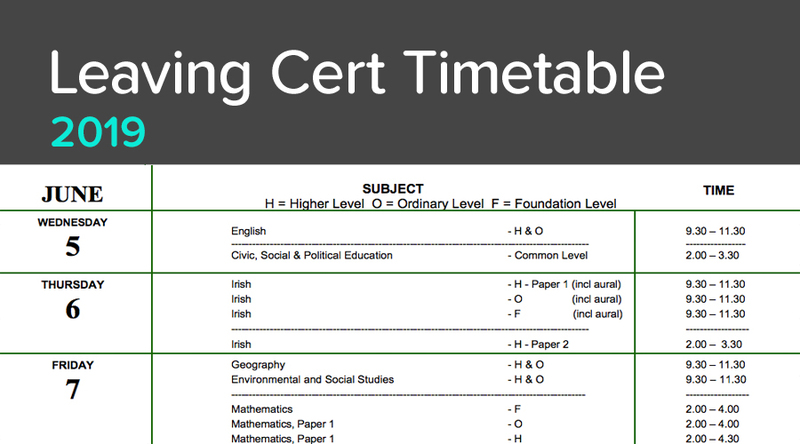 The 2019 Leaving Cert Timetable is now available with this year's exams starting on June 5th. If you're doing your Leaving Certificate exams in 2019 then you can download and print it here. A Studyclix account will help you get the best marks possible for these exams in June. If you don't already have an account, sign up here!